~ WHEN YOU SPEAK IT IN FAITH! 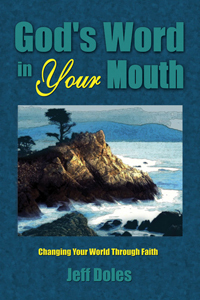 "God's Word in Your Mouth is, in my opinion, the best book yet dealing with the creative power of our words. Jeff Doles has clearly received revelation from God to share one mind-renewing insight after another. Jeff gives us clear understanding of the purpose of God in creating us and the power that He transferred to us to continue His mandate through us. This book is both highly revelatory and extremely practical. Every Christian needs the insights that are being released to the church of Jesus Christ through God's Word in Your Mouth."